Salads are the staple of healthy diets the world round. So why is it that Americans regularly take this low-cal, nutrition-packed and smother it in corn syrup and other glop? But the amount of sugar in some bottled dressings makes me think I should serve them for dessert. I have one poppy seed dressing in the fridge right now that lists sugar as the second ingredient. Oh, don’t get me wrong, I love the zesty creaminess of a bleu cheese dressing as much as the next guy, but my go-to, everyday dressing is a bit more heart healthy, with no saturated fat and loads of flavor. So, as part of Liquid Gold Week, I offer you Salad Days with two more easy uses for Rosemary Garlic Olive Oil. 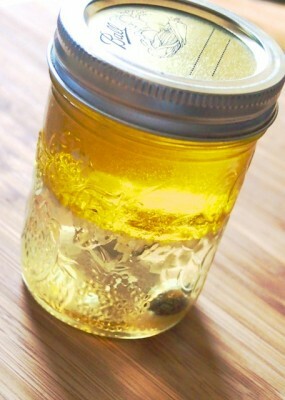 First, a simple vinaigrette, with a tad higher vinegar to oil ratio than the classic formula of 1 to 3. More vinegar with less oil equals more concentrated flavor with less fat, plus you use less to get the same punch. 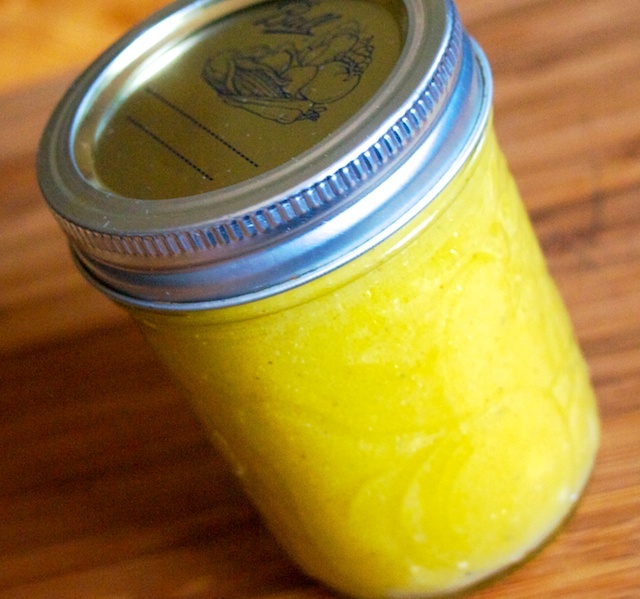 I keep the sugar content low with just a tiny bit of honey to balance the tartness of the vinegar and mustard. Then, take a slice of french bread (or roll or just about any kind of bread), brush it with Rosemary Garlic Olive Oil, sprinkle with sea salt and toast under a broiler or in a toaster oven. 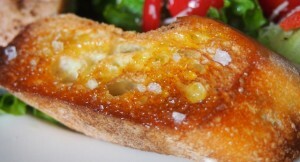 Alternatively, toast the bread first, then drizzle it with Rosemary Garlic Olive Oil and sprinkle with salt. 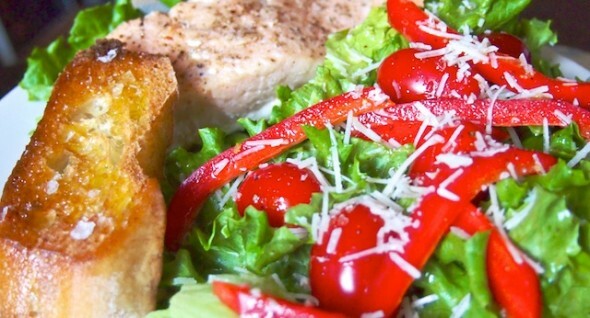 OMG… is that two recipes for a Rosemary Garlic Crouton? Why, technically speaking, yes it is! You can’t buy a salad dressing this good at any price, so why buy when this costs less than a buck to make fresh every week? Bonus: You can pronounce all the ingredients and adjust the taste to suit you and your family! Boo-yah! Combine all ingredients in an 8 oz jar (I keep a jelly jar just for this). Shake vigorously. Taste on a bit of lettuce and adjust the seasoning to your liking!